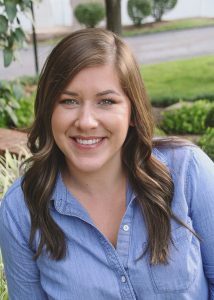 Director of Sales, Sarah Eggleston was interviewed for the September edition of Inbound Logistics, discussing her expertise in the freight payment sector of logistics. As more shippers operate around the globe, they can wind up with silos of disparate freight bill information. Many look to their freight bill audit and payment providers to bring this information together, so they can make better sense of it and even leverage it to reduce costs or better manage their supply chains. In the past, many companies managed freight spending regionally, Eggleston says. Today, more manage these expenses globally in order to get a better handle on overall freight spending and negotiate more effectively with vendors. 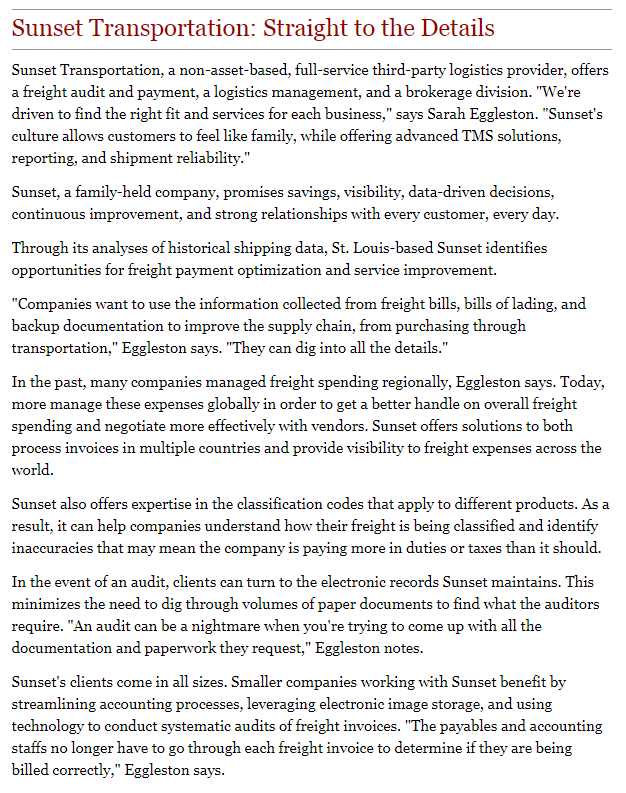 Sunset offers solutions to both process invoices in multiple countries and provide visibility to freight expenses across the world. Sunset also offers expertise in the classification codes that apply to different products. As a result, it can help companies understand how their freight is being classified and identify inaccuracies that may mean the company is paying more in duties or taxes than it should.